Aromatherapy has been practiced for centuries, but its use has made its way into modern lifestyles with ease and newfound popularity with products like Aquinelle Toilet Tissue Mist. These lightly scented sprays transform your dry toilet tissue into a refreshing cleansing experience and unlike flushable wipes that can clog your plumbing system; these sprays are good for you and good for the environment. It's a discreet and pleasing way to add the art of aromatherapy to your everyday bathroom business. Environmentally friendly, hypoallergenic, dermatologist tested, kid safe and available in six aromatherapy-inspired scents. Find your favorites: Ocean Breeze, Citrus Burst, Island Mist, Coco Beach, Rain Forest and Pink Grapefruit. A full size bottle is 8-oz. and the travel version is an easy to handle 3-oz.making it ideal for individual use. Pop one in your purse, gym locker, desk drawer, car and you'll be fresh wherever the day takes you. There's also a convenient 4-bottle gift set so you can sample several scents to find the one that's most pleasing to you. Aromatherapy, or Essential Oil therapy, is the art and science of using naturally extracted aromatic plant essences to balance, harmonize and promote a healthy body, mind and spirit. And though many may consider it new-agey - it's not new at all. Its origins date back to nearly 3,000 years before Christ when early Egyptians used incense in religious temple ceremonies to honor their gods. They also preserved the bodies of the deceased in precious oils so powerful that in the 17th century, European doctors purchased and distilled these mummies to concoct potent new medicines. From Egypt the practice traveled east to Israel, China, India and the Mediterranean where the Romans employed Greek physicians and military surgeons in the art of essential oil therapy. After the fall of the Roman Empire, it made its way to the Arab world, thus the roots of Essential Oil therapy can be found in the ancient healing practices of all world cultures, with each developing a unique set of practices and applications. For centuries, essential oils were the only available remedies for diseases, and during the Black Plague, those who worked in perfumeries and the glove industries where the oils were used did not become ill. 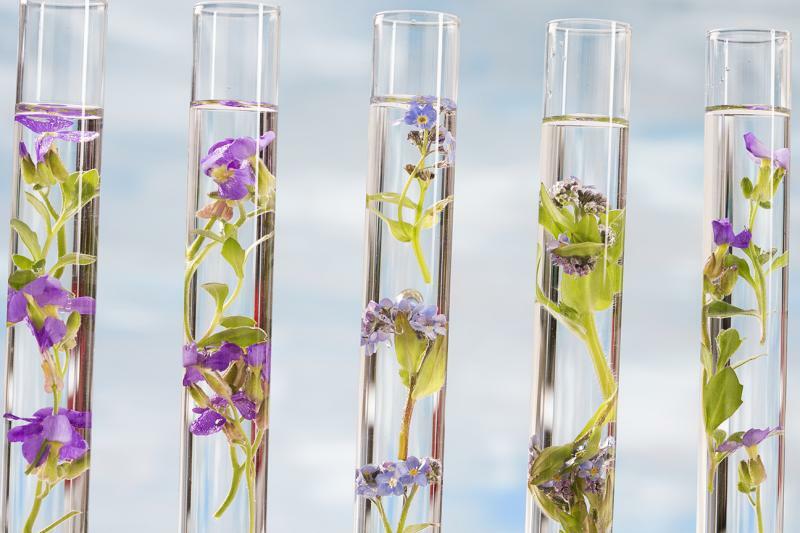 However, with the onset of modern science in the 19th century, all forms of herbal medicine virtually disappeared until the early 1900s when the French chemist, Rene-Marie Gatefosse revived the art in 1937, calling it Aromatherapy. Today, Aromatherapy is used in hospitals, offices and clinics, and DIY home therapy is accessible to anybody who would like to give it a try. As the practice has progressed, it is being used as a holistic approach to emotional health and well being with some of the most sought after applications being to reduce the effects of stress and restore overall balance to mind and body. Inhaling the aromas from essential oils is believed to stimulate brain function, positively enhance mood and increase cognitive function. These oils can also be applied directly to the skin to travel through the bloodstream and promote whole-body healing. Headaches can be triggered by a host of factors. From noise to stress, exertion, dehydration, lack of sleep, allergies, certain medicines and foods - even overindulging in a night of drinking. Most of us are lucky enough to experience only infrequent discomfort, but sufferers of more serious chronic conditions like migraines can also find relief from a throbbing head by incorporating aromatherapy and essential oils into their pain relief regimen. Always consult your doctor first; however, if the frequency and severity of your head pain is not stemming from a more serious condition requiring the attention of a specialist, the next time you feel a headache coming on, reach for these must-have essential oils instead of reaching for the nearest bottle of ibuprofen. They're a welcome addition to the well-stocked bathroom cabinet, and can be used for a variety of other healthy body and home care recipes. Try these oils on their own or combine the aromas that appeal to you. Rose oil supports healthy stress response and can help comfort and soothe the nervous system. It's an excellent choice for calming emotional upset, insomnia and depression. A go-to stress reliever. The analgesic effect of lavender oil calms the body and mind creating a relaxing effect on the central nervous system, making it an effective treatment for headaches and migraines. Melissa oil calms the nerves in your brain, helping ease the pain caused by headaches and migraines. It also reduces the symptoms of colds and flus by relieving congestion and calming a cough. Chamomile oil encourages whole body relaxation - calming the mind, muscles and nerves. It relaxes irritability, depression, nervous tension and anger making it an effective remedy for tension headaches. Peppermint is a refreshing and uplifting oil that reduces mental fatigue and improves concentration. It is a great tonic for the digestive system, making it helpful for gastric-based headaches. The menthol in peppermint also helps clear the respiratory tract, easing symptoms of sinus blockage and other cold symptoms that can bring on a headache. Eucalyptus oil is an expectorant and helps cleanse your body of toxins and harmful microorganisms that can make you feel sick. It also opens airways and eliminates sinus pressure that can lead to headaches, while promoting emotional balance and boosting mood - relaxing effects that can be beneficial to those suffering from tension headaches or migraine attacks. Rosemary is used to treat headaches and poor circulation because of its stimulating, anti-inflammatory and analgesic properties. It has a calming effect and improves alertness and reduces stress and emotional triggers than can cause headaches. For tension headaches and migraines, inhale a few drops of any of the following oils from a tissue, a portable inhaler or add them to a diffuser (less effective). If you're congested and stuffed up, try a decongestant oil to help ease headaches that are accompanied by cold symptoms. Add 2-3 drops of the following oil(s) into a bowl of steaming hot water, cover your head with a towel and inhale deeply for 5-10 minutes. Another simple way to treat headaches is to gently rub a drop or two of your preferred essential oil into the temples and relax. Baths can effectively ease tension and melt away headaches and migraines. Try adding some of the following oils (no more than 10 drops total) to your bath, then shut your eyes and relax. Remember, aromatherapy remedies work best when you get to the source of your headache symptoms, which are often deep rooted and may include food allergies, internal and hormonal imbalances, sleep disorders, nutritional deficiencies and other conditions. Making some simple adjustments can help you get more relief and put you on the road to less frequent headaches. Sleep quantity and quality can also play a significant role in developing headaches and migraines. Getting too little rest - or even too much - can bring on headaches. Plus, if you're already suffering with a headache or migraine you're at a disadvantage when trying to fall asleep. Even if you don't sleep a whole eight hours, use this time for relaxation. If you have to do some activity simply read, follow your breathing or reflect positively on your day. The next time you feel a headache coming on, try aromatherapy to relieve your symptoms. And remember, Aquinelle Toilet Tissue Mist is the dermatologist-tested, kid-safe, and family-approved - not to mention, most hygienic and fuss-free way to keep things clean. Check out all the fragrant and planet friendly varieties here.